Our urine mats are made of high quality materials and are manufactured By Certified Urine Pad Makers. These are made of safe, non-toxic material, and at the same time are healthy and environmental friendly as well. 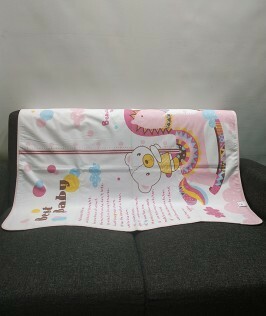 Our urine mats feel cool but not cold and are Soft, breathable, and comfortable for babies to sit and sleep on it.